Friday Favorite...Make Ahead Turkey Meatballs for Three Different Meals! Is it a crazy time of year at your house? It is at mine! Only two of my four kids are involved in sports, but we have something almost every night. Of course, practices and games are usually around dinner time. Dinner needs to be quick, so I can make it right after school while I help the kids with their homework. Or needs to be something that I can make in advance. Sometimes it needs to be portable too and easy to eat in the car when we have to drive 20 minutes to practice. One of my most favorite meals is these turkey meatballs. They are made with extra lean ground turkey that I buy at Sam's Club and they are stuffed full with veggies, but my kids haven't ever noticed. The seasonings are delicious! I seriously, love making these meatballs because they smell so good even when they're raw! I usually make five pounds of ground turkey into meatballs and bake them. Then I freeze them in ziploc bags and use them for several different meals. 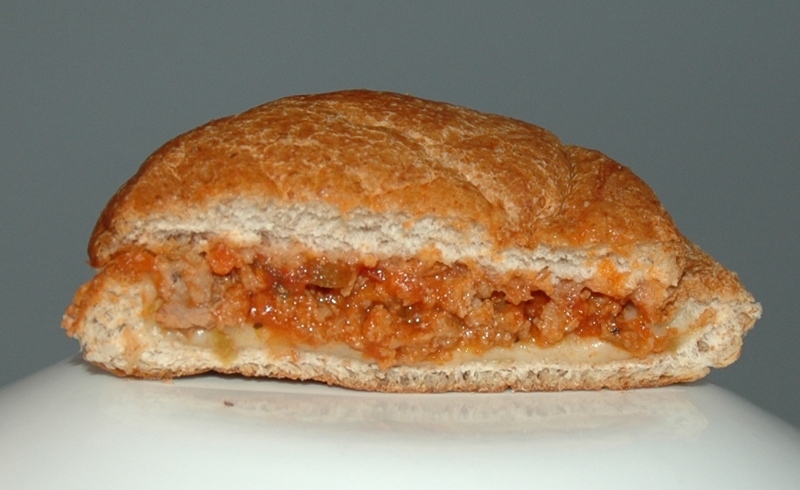 I love to make these Turkey Meatball Sandwiches with them. Just spread a little spaghetti sauce on the bun, chop up the meatballs and lay them on the sauce, top with cheese and broil until the cheese is melted. Yum! Find the recipe here. 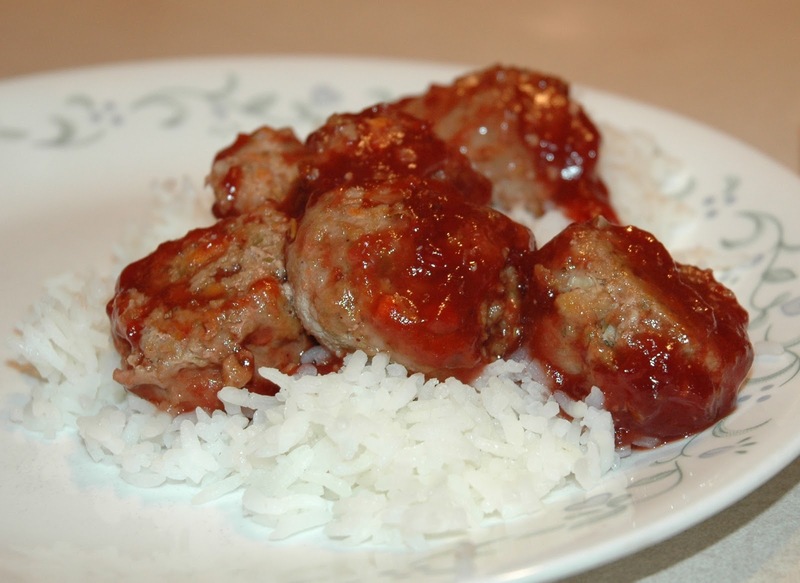 Another favorite is Sweet and Sour Meatballs. Just mix up an easy sweet and sour sauce of cranberry sauce, chili sauce and ketchup and warm up on the stove or even in the crockpot. Serve over rice (which I love to make in my rice cooker, because it has a timer and can start cooking whenever I need it to). 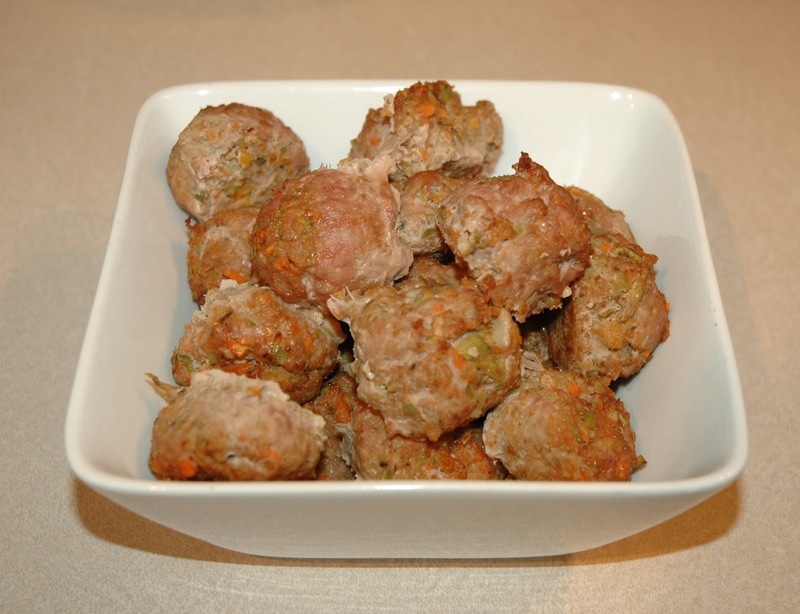 Another option is to throw these meatballs in your spaghetti for easy "Spaghetti and Meatballs". I'll be sharing with you my other favorite quick and easy dinners that we'll be eating during this crazy time of year. What are your quick and easy favorites?